When it comes to selecting the optimal way to invest your money, you need advisors, not salespeople. Like no other firm in the United States, we focus on representing buyers who seek to acquire NNN properties, whether for the first time or have experienced a multitude of 1031 exchanges over the years. When you begin to work with one of our advisors, first we set out to understand your goals – financial, family, and more. By presenting sample investments, we quickly come to fully understand your risk tolerance and narrow the range of investments to those optimized for your specific situation and needs. We scour our national database of both on and off-market properties, and present you with suitable options, sharing detailed financial projections, accompanied by quantified and qualified assessments of the opportunities and risks. This deep dive into the existing leases and terms, the detailed finances of the lessee and the stability of the overall industry, creates a comprehensive understanding so that you are prepared equipped and educated to make the right decision for your specific situation and needs. No other firm in the nation applies this methodical, advisory approach to the NNN investment process. What is an NNN Lease Advisor? An advisor listens to and uncovers your needs, risk tolerance, and investment goals, then finds solutions that fit that framework. An advisory helps you learn and assess what properties could work, and what won’t work. You frequently receive first shot at properties, before they even go on the market. You are positioned for priority acceptable of letters of intent and contracts. Westwood’s Advisors continue through the entirety of the closing process, identifying and serving as a liaison between lenders, title companies, and cost segregation experts to optimize the entire transaction and minimize tax liability. Are you ready to learn more? Check out our knowledge center, more about our history, or go ahead and contact us to begin the next stage in your real estate investment journey. We are True Advisors- Our goal is to be your most trusted advisor when it comes to buying or selling single-tenant retail properties or any type of commercial real estate. Given that our firm is highly specialized our brokers offer an in-depth knowledge of the net lease market which allows the investor to make an informed and educated decision. We are not “order takers” rather Advisors that will guide you every step of the investment process from initial property evaluation through closing and beyond. Through our Proprietary Database Westwood has cultivated relationships from all parts of the country. These relationships include private and institutional buyers, property owners, developers, and our fellow commercial brokers. The net lease arena is truly a “National Marketplace” and in order to be successful, Westwood leverages its database to identify off-market opportunities for its clients. 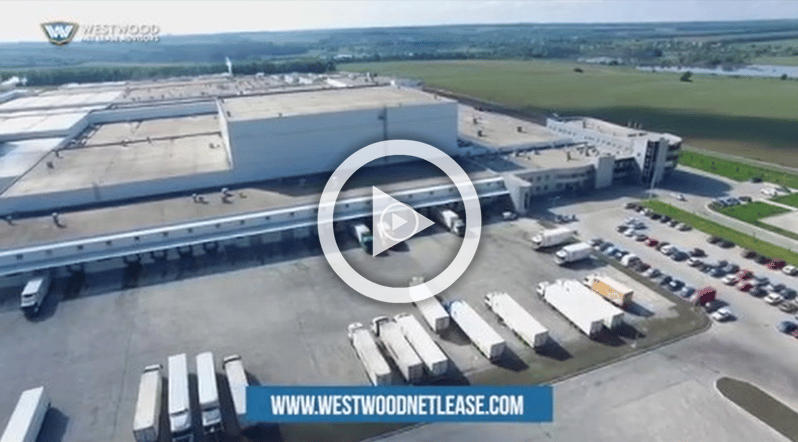 Westwood’s Team of Professionals have experience in all aspects of the net lease market from retail to office, pre-construction to sale-leaseback Westwood is highly qualified to handle any commercial real estate transaction. Westwood has a National Reputation for being one of the top net lease brokerage firms in the country having sold over $2 Billion in commercial real estate since its inception. Through our Vast Referral Network Westwood can introduce a “Team” that compliments the buying or selling process which includes: attorneys, lenders, environmental engineers, cost segregation companies and title companies.